Going a step further, if we could establish a robust method to track and propagate the causes for any failures and their resultant failure effects (as causes) at the next higher levels of the “integrated design”, then we can determine the interdependent propagation of these failures throughout the “integrated” design or system(s). With this method, which we refer to as “Integrated Systems Diagnostic Design”, or ISDD, we can effectively “integrate”, the designs and the “design data” contained within each component contained within the design. 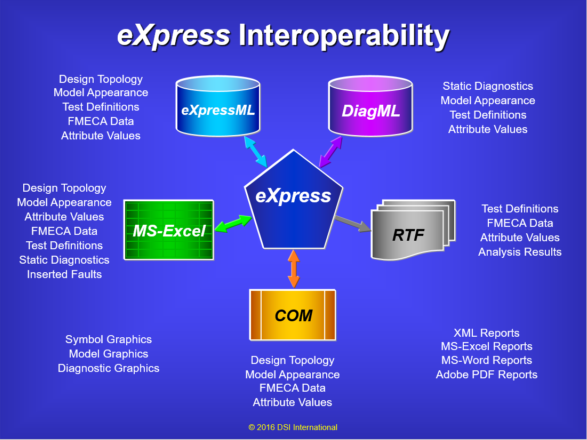 As a result, “data interoperability” through and across “integrated” systems can be fully established, tracked, validated, and leveraged to serve many design and support objectives. Many complex designs fail to reuse much of the design data artifacts already produced and stored away as a property to a specific design discipline. This avoidable waste is typically unknown to the Systems Integrator and the customer. Sustainment requirements are maintenance biased and are not adequately associated to the Diagnostic constraints of the fielded complex system. As such, even extensively interoperable design data that is used for sustainment activities is still caught in a trap until it is able to benefit by sharing the “integrated design data” or “knowledge” that is easily able to be created and contained by using ISDD. From a lower-level FMEA or FMECA development perspective, by propagating the failure attributes upward and outward through the integrated design (subsystems included), by cross-integrating many interdisciplinary & inter-organizational design aspects typically unknowingly discarded, we can determine what FE are still detectable, isolatable & the appropriate remediation action is matched to the loss of that function based upon the severity. The FR from the design, although inherently allocated upwardly in most paradigms, can be directly and immediately simulated over time (see “STAGE” below) to see what the impact will be – given the impact of the maintenance actions based upon the fielded design’s limitation on failure detection & isolation. Any changes to FR or any other component attribute(s) can be swapped (typical cut & pasted macro’s or global swapping) facility that allows for these design’s interrelationships to be re-organized, re-processed immediately able to view the impact upon any of these attributes in terms of the larger integrated system(s). We have noticed for over 35 years, that most complex integrated systems, with the use of today’s common, company preferred, standard or individually customized tools have fairly good fault detection, but suffer tremendously on their fault isolation capability (too many examples to enumerate). Industry has traditionally resorted to such arcane approaches to “mature” the accuracy of the diagnostic conclusions (e.g. Fault Codes, etc.) in the field. The data for maturing the BIT, or diagnostic conclusions from onboard test results has traditionally been to circumvent diagnostic design in favor of waiting for data to be gathered from the fielded systems and hope to learn from data analytics to improve future diagnostic capability in the field. Using an approach to learn from collecting data from field maintenance activities is always a belated approach to attempt to improve inadequate diagnostic performance. ISDD opens the opportunity to use design “knowledge” to anticipate sustainment inadequacies without the waiting for first failures that could be otherwise indetified during design development with ISDD. As often relearned, waiting for the occurrences of first failures to be observed before its inclusion in a heuristic-based sustainment paradigm, the preventative measures were unnecessarily dismissed. What exacerbates the lack of integrated diagnostic interoperability integrity between the integrated systems’ design components without ISDD, is that the integrated system level has, in reality, no accurate method to objectively assess which functions or failure propagations can be observed, and those that are not “accurately” observed at the integrated system(s) level. 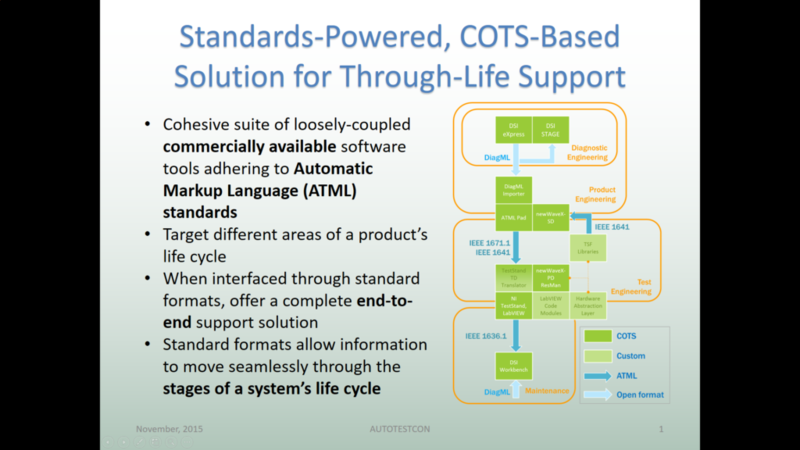 That said, however, this is easily solvable in a much more robust design capture model-based environment – an environment that can generate integrated system(s) FD/FI assessments, and companion “turnkey” FMECAs (that can perform “unique isolation” – to a single function on a failed component) and automatically – upon demand, generate/assign/manage Fault Code(s) mappings to fault group(s) to synchronize on-board to off-board diagnostic “interoperability”. Need to synchronize off-board to include FAR more than “empty” simple fault code diagnostic entry points.